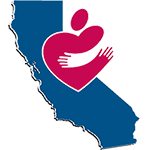 SACRAMENTO, CA – CalCAPA is offering 24 scholarships for ROMA Implementor Certification in 2019 to qualifying California-based community action agencies. Agencies that would like to nominate a staff member to become a Nationally Certified ROMA Implementor (NCRI) must contact the CalCAPA office by April 15, 2019, for scholarship consideration. Priority will be given to one applicant from each agency. CalCAPA will consider additional applicants from the same agency if there are any remaining scholarships. Agencies may also choose to make alternative funding arrangements for certification. NCRI applicants should be able to complete all 4 phases as outlined by the Results Oriented Management and Accountability National Peer to Peer Training and Certification Project. CalCAPA will cover the cost of certification with prior approval. Applicants will be organized into one or more cohorts depending on geography and/or response rate. Applicants should expect to complete a 10-hour online training course (Phase 1) and attend a one-day workshop (Phase 2) as part of the certification process. The remaining phases are performed on-site with the applicant’s agency. For more details on the various phases, see the 4 Phases document. Classroom training for the first cohort will be June 11-12, 2019 in Sacramento, CA (location: Sacramento Employment and Training Agency, 925 Del Paso Boulevard, Sacramento, CA 95815). Current ROMA Implementor or Trainer mentors are a valuable addition to the 2019 Certification cohort(s). Those interested in being a mentor may also contact CalCAPA by joining the #caa-roma channel on CalCAPA Connect or email training@calcapa.org. I was reading over the ROMA Certification Course for this summer and I wanted to nominate the Tehama County Community Action Agency Supervisor Cara Zweerus. Cara has been with our agency for over a year and this would be a great way for her to understand the importance of ROMA and how it can be utilized for all aspects of CAA. When I went through the process last summer, she was very interested in learning more about the process and asked if she could participate in a future course. Thank you for your time. Thank you, David. We have forwarded your recommendation to our training coordinator.